Getting Things Down Pat: With the latest news from the New England Patriots regarding Wes Welker wanting to “test the waters of free agency”, and the team failing to franchise any of their free agents, one has to wonder…what will the Pats do this off-season? Slot Machine: Wes Welker has no doubt been a great offensive weapon for the New England Patriots. Welker has caught 110 or more passes for 1,100 yards or more in five of his six seasons with the Patriots. He had a career year in 2011 with 122 grabs with 1,569 yards and 9 TDS. Welker however, is aging at 31, and is likely going to use his impressive Patriots resume’ to land himself a big pay-day somewhere else. With all that said, and the fact that Welker is willing to talk to other teams, the Pats need a plan B should re-signing Welker fall through. Mike Wallace- In 2012 with Pittsburgh: 64 REC, 836 YDS, 8 TDS. Greg Jennings- In 2012 with Green Bay (in 8 games): 36 REC, 366 YDS, 4 TDS. Danny Amendola- In 2012 with St. Louis: 63 REC, 666 YDS , 3TDS. Austin Collie- In 2012 with Indianapolis: 1 catch for 6 yards missed the season due to injury. Brian Hartline- In 2012 with Miami: 74 REC, 1083 YDS, 1 TD. Granted, those numbers don’t exactly replace Welker, but the Pats won’t need to completely replace him if they can land a solid receiver like the ones listed above. Realistically Greg Jennings and Green Bay will probably agree to re-sign and Mike Wallace will probably take his talents elsewhere for more money than he’s worth. Austin Collie, when healthy has been reliable in Indy, but I don’t see him in New England next year. Brian Hartline had a career season last year for the Dolphins, so he should stay in South Beach. So, that leaves Danny Amendola as the Pats most realistic option, as pointed out by Chris. Amendola has been a solid slot receiver for Rams quarterback Sam Bradford and would be a good pickup should Welker leave. Side Note: The Patriots only have 5 picks in this year’s NFL Draft (one in rounds 1,2, and 3 and two picks in round 7). The Pats will pick 29th in the first round and could wind up in a position to draft highly ranked wide receivers Keenan Allen out of California, Justin Hunter of Tennessee, or Cordarrelle Patterson also Tennessee. No Thanks, I’ll Pass: The Patriots pass defense ranked 29th overall in 2012, giving up a total of 4,342 yards for an average of 271 yards per game. New England also gave up 27 passing TDS, allowed an average quarterback rating of 86.9, and a 62 percent pass completion rate. Ed Reed- In 2012 with Baltimore: 58 tackles and 4 interceptions. Dashon Goldson- In 2012 with San Francisco: 69 tackles, 1 forced fumble, 3 interceptions. Antoine Cason- In 2012 with San Diego: 73 tackles, 2 forced fumbles, 2 interceptions. Quentin Jammer- In 2012 with San Diego: 64 tackles, 1 forced fumble, 3 interceptions. LaRon Landry- In 2012 with New York (Jets): 99 tackles, 4 forced fumbles, 2 interceptions. Dominique Rodgers-Cromartie- In 2012 with Philadelphia: 51 tackles and 3 interceptions. Given the numbers the Patriots pass defense put up last season, any one of these available DB’s are significant upgrades to the secondary. Realistically Ed Reed, Laron Landry and Dashon Goldson will likely all re-sign with their respective teams or elsewhere. That leaves Antoine Cason, Quentin Jammer, and Dominique Rodgers-Cromartie. Again, picking up any one of those guys would be a step in the right direction. Side Note: The Patriots 29th draft pick position could also allow them to go after a few defensive players such as Kevin Minter inside linebacker out of LSU, Blidi Wreh-Wilson cornerback of UCONN, or Desmond Trufant of Washington. Final Thoughts: The Patriots have plenty of time to consider these and many other options in the weeks to come. It will no doubt be interesting to see what New England choose to do this off-season. What do you think will happen? Will Wes Welker stay? If he goes, who should the Patriots pursue? leave a comment below. 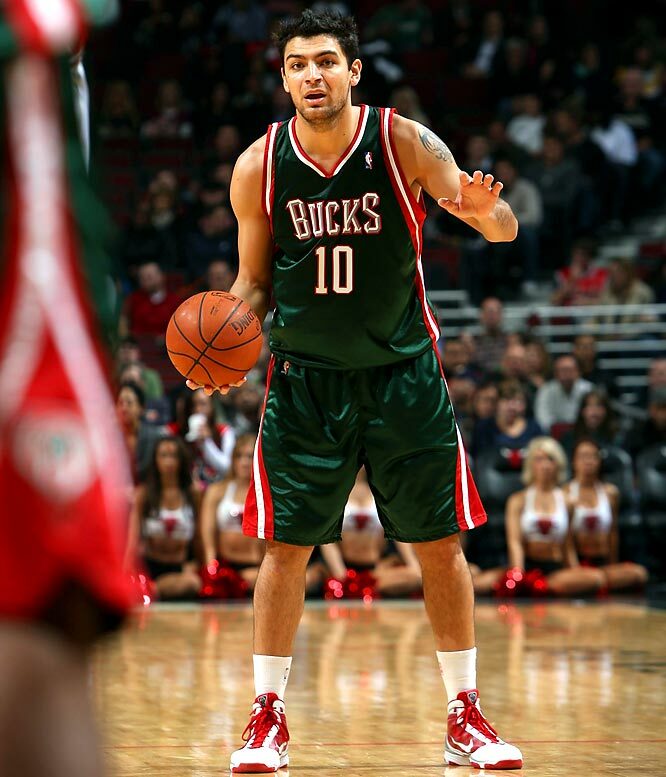 The Celtics are pursuing options talking to Carlos Delfino. After exhausting all options to doing a sign and trade with the Mavericks for Jason Terry, they ended up using their Mid-Level Exception. This only leaves the Celtics with the bi-annual exception which amounts roughly to $1.9 million per year. Unless Courtney Lee wants to take a contract under his market price, he is likely out of the Celtics price range. So the Celtics have started to look at Delfino. Been consistently around 10 points a game and around 1.3 steals per game for the past 4 years. + Mellow, solidly built wing who likes corner 3-point shot. Rebounding tailed off. + Good handle and court vision but no burst or explosiveness. Runs floor well. + Solid defender. 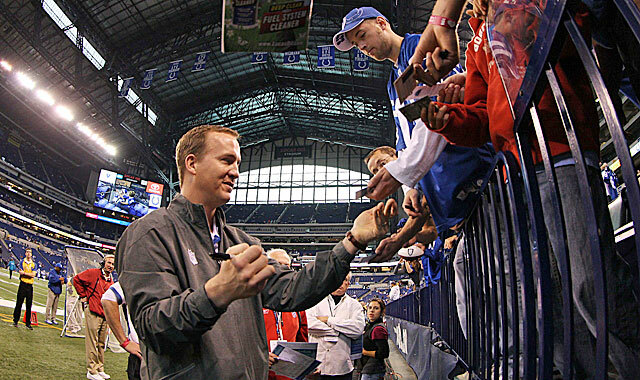 Average mobility but big for position with great hands. 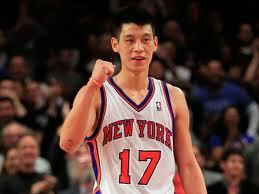 The Knicks have until 11:59 tonight to match the Rockets offer to new sensation Jeremy Lin. Many fans would probably say that New York would be crazy not to sign Lin after last season, but there’s a lot more to the story. They were ready to match the $25.1 million offer until they saw that the third year offer was worth $14.8 million. This would mean that they would have been over the line for the luxury tax and would have to pay an excess of $43 million dollars for the 2014-15 season. This isn’t bad for Lin seeing as he made under $800k last year. The Knicks have now signed Raymond Felton who was part of a deal that brought Carmelo Anthony to New York just a few seasons ago. So it seems as though Lin will be going back to the team that only kept him around for two weeks of training camp last season. There has been speculation that Dwight Howard’s agent and the Lakers have been talking about a trade that would bring the big man to Los Angeles, while Andrew Bynum goes to Houston, and Orlando gets some young players and picks. However, Howard said that he would only sign with the Nets for a long term contract, so that might change the Lakers minds. After leaving Dallas where he could probably drive around in fields and not be seen, Jason Kidd has been charged with refusing a breathalyzer at the scene of a crash and failure to stop, just days after being traded to the New York Knicks. His escalade hit a telephone pole and ended up in the woods. Probably should have called for a cab and paid the 10 bucks after you just inked a deal for over $10 million. O.J. Mayo, who averaged 12.6 PPG off the bench last season with the Grizzlies, has signed a contract with the Mavs. He will most likely be the starting Shooting Guard for them, seeing as he averaged over 17 points in both seasons as a starter before moving to the bench the last two seasons. If not, he can have Jason Terry’s old role as the sixth man now that Terry has signed with the Celtics. The Celtics (32-24) came up with another big win last night over the 76ers (29-27) as they won 103-79 in a game blew wide open in the second quarter. 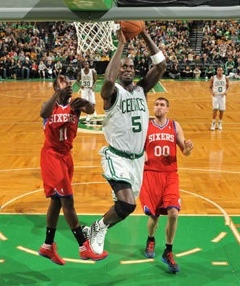 The Celtics had a balanced attack led by KG (20), Brandon Bass and Avery (18), and Pierce (17). Ray Allen came off the bench again and chipped in with 10 points on 4-9 shooting. Rajon Rondo had his 17th straight game with over 10 assists as he racked up 15 last night. The 76ers were led by Nikola Vucevic and Andre Iquodala who had 14 and 13 points. After Evan Turner exploded against the Celtics for 26 points earlier this season, they have held him to 16 points in the two games following. Avery got the start over Ray for the second straight game, and had another solid start. He shot 6-12 from the field and made his only three. He also had 5 assists and 4 rebounds. It’s going to be interesting whether or not Doc ends up putting Ray back into the starting lineup in a few games or sticks with Avery. I’ve also heard that Pietrus may be in the mix to start when he comes back from his head injury but I find that very unlikely. In the past nine games Avery has started 8 of them. In the first quarter, when the starters play a majority of the minutes, the Celtics have given up 12, 15, 21, 20, 19, 27, 18, 19, and 22 points respectively. The only game he didn’t start was against the Spurs. The Celtics ended up giving up 27 points in that first quarter. The Celtics take on the Heat tomorrow in Miami at 7 PM. Prediction: The Spartans have had a tough schedule all year. They had back to back losses to start the season. However, these losses were to UNC and Duke. No doubt about it, they have a tough line up for the next two weeks. If they can get past both of those teams they will have a good shot at a #1 seed due to their strength of schedule. Plus, someone could lose in that time frame. Draymont Green is a 6’7 Senior forward who averages a double-double. He works hard in 32.9 minutes per night to put in 15.6 PPG and 10.3 RPG. He also helps with 3.6 Assists which is second most on the team. That is a good amount for a big man. Keith Appl ing is a Sophomore guard from Detroit who accounts for 11.7 PPG while putting in a team-high 3.8 assists per game. 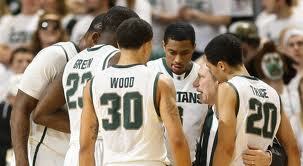 Branden Dawson is a 6’6 Freshman guard who accounts for 8.7 PPG while grabbing 4.7 boards per contest. He also shoots a team-high 58% from the field. Senior Brandon Wood is a 6’2 guard that contributes 8.2 points of his own per game. He also isn’t too bad at the helpers (2.9 RPG, 2.2 APG). Today we will focus on which team has the edge in the kicking game. One of the things that gave me the idea to do a daily article evaluating each team in the super bowl was NFL.com, last week they came out with an evaluation article of each teams main positions. They gave Cundiff the edge over Gostkowski. They were definitely spot on with that one huh? Lawrence Tynes is an average kicker at best. His field goal percentage isn’t all that bad at slightly over 79%, but if you look at the stats you notice he isn’t trusted to much to kick the ball over 40 yards, and it looks likes its all in good reason. Tynes only attempted eight kicks over 40 this season, and only converted four of them. 50% isn’t what you are looking for in a Super Bowl game. What are the Giants going to do on 4th and 3 from the 28-yard line in a tie game with a couple minutes left? My bet is they’re going for it. Stephen Gostkowski may be one of the most underrated kickers in the league today. His average is just under 85% and he makes clutch kicks when called upon. The difference here is when asked to kick a field goal over forty; Gostkowski frequently comes through. He is 76% from over 40; converting on ten of thirteen field goals. The Patriots have trust in their kicker and that’s huge in a game like this when its expected to come down to as little as a field goal. Could this be an Adam Vinatieri like finish? I’d take it. Mayor Menino even offered to take the Cathedral football team out to lunch to help ease the pain; although I’m sure it would help much. Of course the MIAA will stand up for the referee that made the call, but what I really want to know is how do they really feel about the situation? Do they honestly think the call on the field was the correct call? The MIAA must adjust these rules. Texas and Massachusetts are the only states in the U.S. that have adopted the NCAA’s rules on taunting. If the NCAA took away touchdowns every time a player so much as raised his hand running into the end zone, all games would end up like the LSU v. Bama’ game earlier this season. Bottom line: This referee took away a Super Bowl title from the more deserving team, and every single possible action needs to be taken to make sure this never happens again.